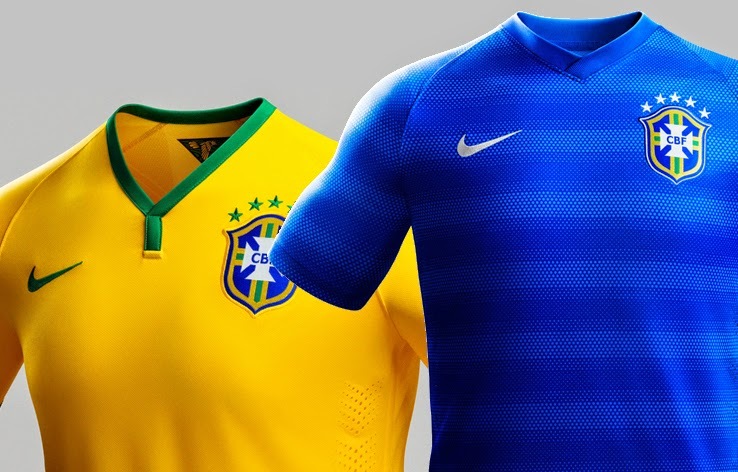 Great job by Nike to preserve the traditional Brazilian design, with the yellow/green home shirt, and the Blue away. The hoop-like blue on blue stripes on the away shirt creates for interesting dimension, but one would think that Nike could come up with something a bit more unique for the host nation. Seems that the African nations gave Puma consent for full creative freedom, and the designers at the kit manufacturers are taking full advantage. 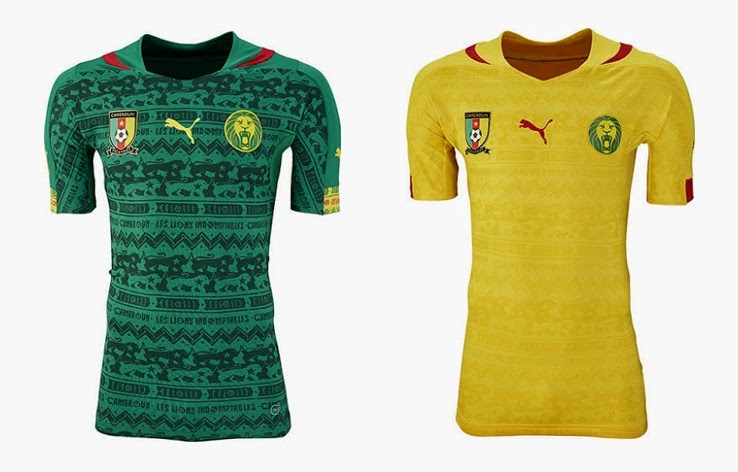 Lots of patterns on both the home and away kits for Cameroon this year, and while it's interesting it's busy, very very busy; we just hope that none of the opposing players get a seizure while playing against Cameroon, or was that the idea? 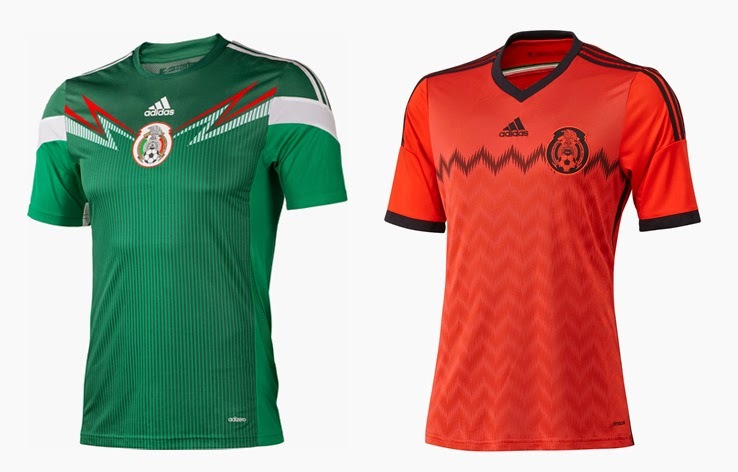 Just like with Brazil's shirts, Nike has decided to stick with traditional rather than explore something unique. 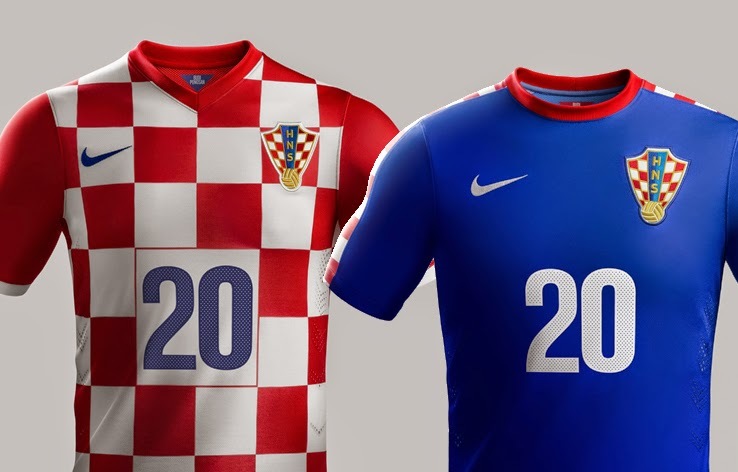 For Croatia's kits however, this may be a good thing, as their traditional checkered look is unique all on its own. This is definitely a unique design by Adidas, and we applaud them for trying something new not just for the sake of making something "different", but rather using a concept. This Lucha Libre inspired design screams out look at me, I'm Mexican.